The information included in McGard’s application guide is accurate to the best of our knowledge. Since vehicle manufactures and wheel manufactures can make running changes that are beyond our control the applications listed should be used as reference only. Due to the many wheel styles and fasteners available it is the installer’s ultimate responsibility to verify that the McGard part is the correct fastener style, thread size and seating surface (flat seat, cone seat, radius seat, shank style, cone-shank style etc.) as recommended by the wheel manufacturer. Minimum thread engagement must be equal to the thread diameter of the wheel stud or lug bolt. Always visually verify that the McGard fastener matches the fastener it is replacing. For help with this refer to the Application Verification section in our Catalog/Application Guide, or Customer Service Web page, or call McGard Customer Service at the phone number below. Be sure to read the complete Installation Instructions included with each package prior to installation. Any application questions should be confirmed by calling McGard Customer Service at 800-444-5847, Monday Friday, 8am to 5 pm Eastern time, or have your McGard products installed by a qualified local retailer/installer of McGard products. By clicking ‘OK’ you acknowledge that you have read and understand the information presented above. 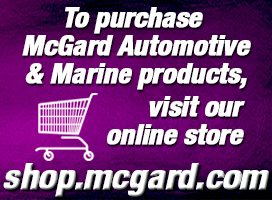 By searching our site, you agree that the information you access is McGard’s proprietary information. You agree that you will only use the information for your personal use, and that you will not attempt to gather or copy McGard’s proprietary information for any commercial purpose. You agree that any unauthorized use of McGard’s proprietary information will cause McGard to suffer monetary damages and irreparable harm. McGard's high quality lug nuts, wheel locks, racing lugs, spare tire locks, tailgate locks, spline drive lug nuts, and more. Complete line of marine security products, including Stern Drive Locks, Propeller Locks, Outboard Motor Locks, Trailer Wheel Locks & matching Lug Nuts. Fleet Owners & Operators: Wheel & tire theft is one thing you can't afford. Your answer to around the clock wheel & tire security is McGard. 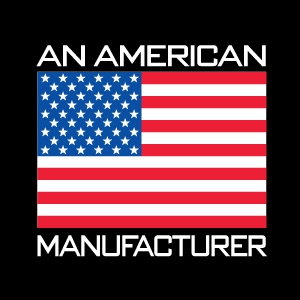 McGard is the nation's leading manufacturer of mechanical anti-theft devices. We work in close partnership with our customers to develop innovative solutions.